I like to get one of those nice wall decals for our upstairs, as we just recently move this year there were walls that don’t have any pictures or designs installed yet. Consequently, I think putting nice wall decals is what I like to have. I received an email about working on an evaluation on one of Decaleco’s Wall designs. I’m so happy for I know it could save me some money at the same time, I have the chance to work with them about their product before I could purchase for more. I choose Yoga – Meditation for I need the relaxation and peace as well as a good vibe upstairs. 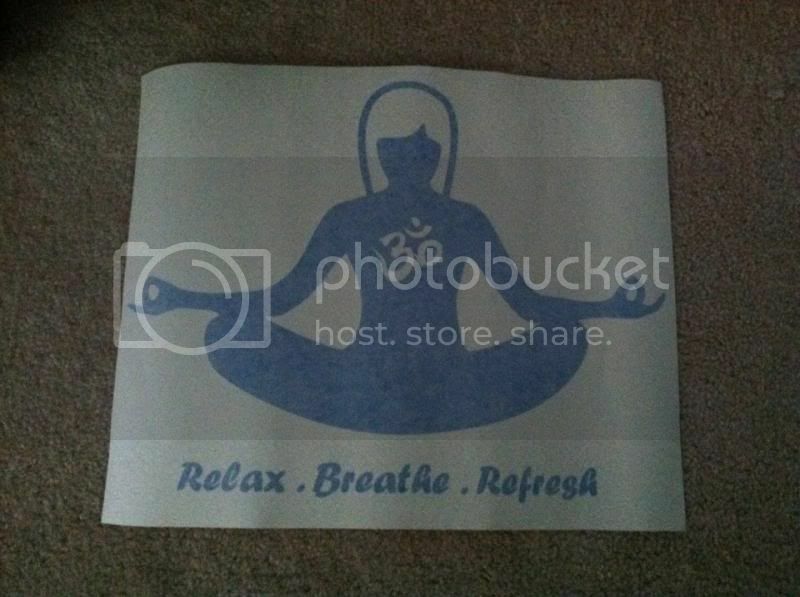 Since we have a blue paint, I think the Yoga decal would perfectly fit in the room. It will give me more power; I will feel more relaxed while I’m working. · Simple to install and came with an instruction on how to install the decal. That was a nice wall decals and I'm sure you will be motivated in whatever you're doing. I would love a custom name one for each of my kiddos. I will get the All you need is LOVE wall decals if I win. I can not put decals on my walls since I do not own my own home. But that does not mean I would not love to--they are all so pretty! I love the selection of decals they offer. This one is very nice choice you made. That's neat! Haven't tried putting decals on our wall yet. I've never used decals yet but I think they do add so much to the home decor. I love wall decals I think they are a great way to decorate that is also affordable. I really love the decal you got it is just what I need. I absolutely love that one and would love to have it in my yoga/workout room. Thank you for the giveaway. Nice and neat wall decal. Hope to win this giveaway! Now that would be a cool design in your fitness corner. decals for the wall has been trendy lately. that is a nice sticker you have there. I just love that decal. I do yoga so this one got me. I really like the decals that are quotations from "The Little Prince" that they have.